It's the Christmas season, which means that it's time to watch Home Alone with the family. It also means that now is the perfect time for Macaulay Culkin to go out and promote his Bunny Ears brand. To do so, Culkin showed up to review Home Alone 4 with Red Letter Media and also stopped by the Angry Video Game Nerd's house as the Pizza boy from Home Alone to play through the horrible video games based on the franchise. Macaulay Culkin only starred in the first two Home Alone movies and there are three more sequels that came out after he had left the franchise. 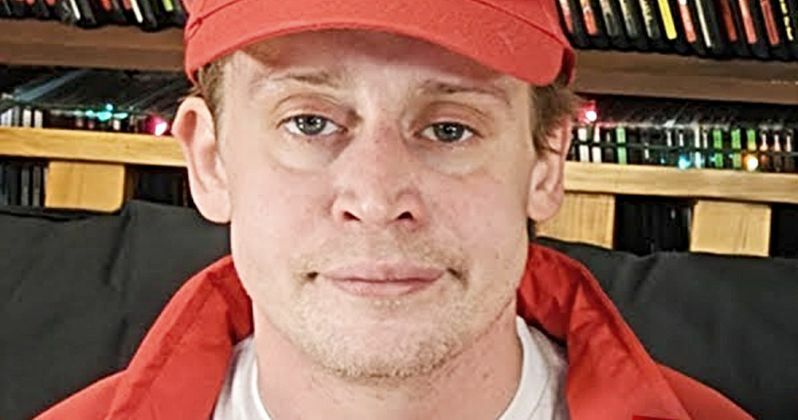 Culkin dropped by to hang out with the Red Letter Media guys to drink beer and review Home Alone 4, laughing at how absurd the movie is while also revealing that Kevin McCallister's parents are now divorced. Culkin and the crew got pretty buzzed, but not even the booze could make Home Alone 4 watchable. After sitting through the fourth Home Alone installment, Macaulay Culkin headed over to the Angry Video Game Nerd's house to deliver a cheese pizza. But it wasn't really a pizza. Instead, it was every single video game based on Home Alone ever to be produced, including the strange 2006 import version on the PS2, which the two promptly threw away. The games are all notoriously bad, and the Angry Video Game Nerd has already reviewed the versions for the Nintendo Entertainment System. However, Culkin brought over all of the rest, infuriating the Video Game Nerd in the process. Throughout the 20-minute video, the two men groan about how awful every single one of the games are. Most of the Home Alone video games were directly copied from each other, which means they're all pretty bad. They were just made to cash in on the success of the movies and it doesn't really look like any time was spent on the quality control process. That being said, the SEGA Genesis versions were actually tolerable according to the Angry Video Game Nerd and Macaulay Culkin. Also, the games really don't have a whole lot to do with the movies, but listening to the two men review the games is pretty entertaining. Make sure to stick around until the end and watch them set up some Home Alone boobytraps. It should be noted that the Angry Video Game Nerd's language rubs off on Macaulay Culkin, which means that there are a lot of F-bombs being thrown around as they play the lame games. The folks over at Red Letter Media are at least a little better with their language, though they do get pretty buzzed while watching Home Alone 4. You can watch both videos below, starting with the Red Letter Media YouTube channel. The Angry Video Game Nerd video is incredibly NSFW, so consider yourself warned.